Bring blooming style to your wardrobe with the floral dress. 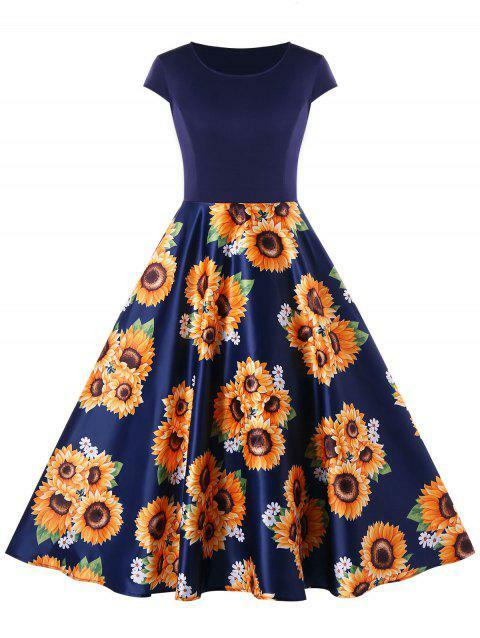 With a dark color background, the bright-colored sunflowers print to add a sweet pop of color to your look. This A-Line dress also features a round neck and cap sleeve. Pair with glossy black pumps, chandelier earrings and an oversized clutch to complete your look.